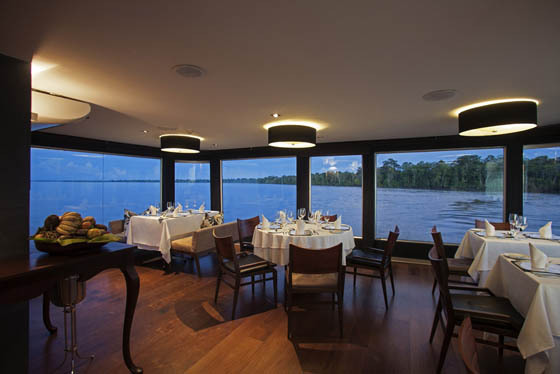 Amazon is called the most fascinating river on the world, is a dreaming place for many of us but it is not easy to explore by ourselves. 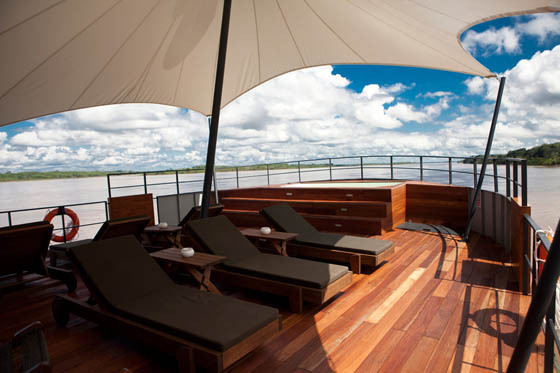 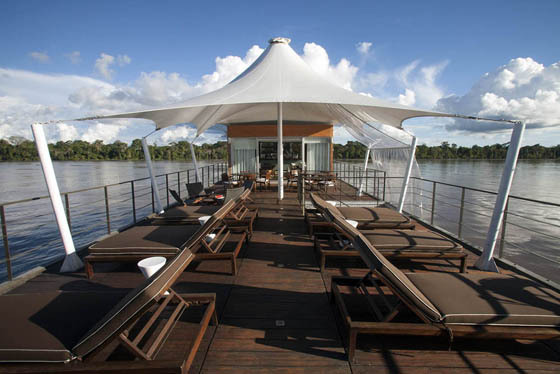 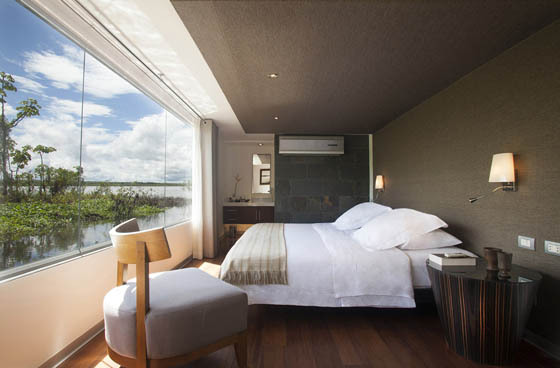 Thanks to Aqua Expeditions team, now we have the chance to enjoy the legendary river in a chic boutique hotel that floats on Amazon. 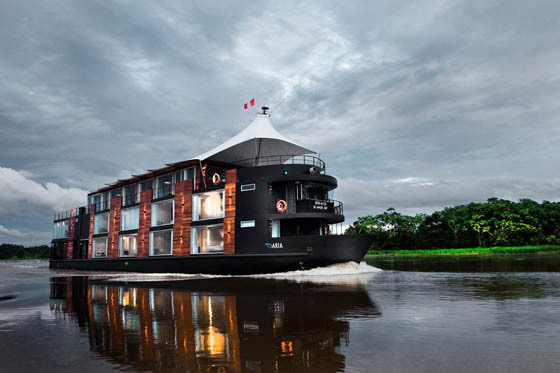 This nature-based luxury cruises offer uniquely “up close” journeys – exotic wildlife and the natural beauty of Amazon while also allowing guests to experience the area at a leisurely pace and get to know first-hand, one of the most culturally and environmentally-diverse countries on earth. 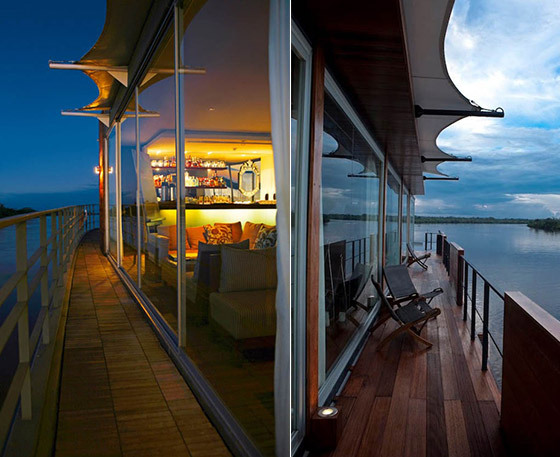 With 16 luxury suits on the boat, the boat hotel can accommodate up to 32 guests along with all the staff. 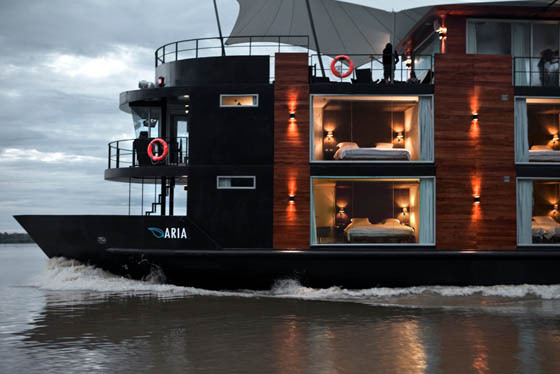 Designed by well-known Peruvian architect Jordi Puig, this boat also equipped with the project recreational room, hot tub on the open deck , a gym for daily exercise and fitness and a gourmet restaurant. 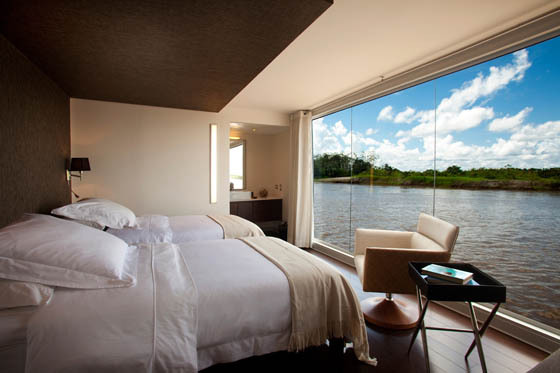 Does that sound a dream trip for you?